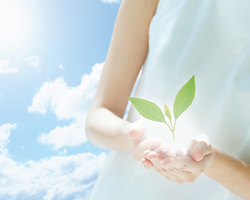 ﻿ Contribution to our society - About us - Kyoritsu Chemical & Co., Ltd.
We desire to contribute to the construction of a good life and the solution of social issues by continuously developing and providing useful products which have never existed before. From such a managerial viewpoint, we are proactively engaging in activities as a member of society. Based on this belief, we have been commended more than once by the tax authorities as a good taxpayer. Donations to the Red Cross, universities, research institutes, etc. As part of our contribution activities to our society and local communities, we have been sustainably offering donations to the Japanese Red Cross Society, universities and research institutes for the benefits of society and local communities. Our R&D Center and plants are contributing to the development of human resources by receiving local internship students to allow them to have career experience.